Lock in a great price for Holiday Inn Express Earls Court – rated 8.1 by recent guests! Good location, friendly staff, clean and comfortable. The facilities were newer and nicer than I thought they would be. Staff was courteous and exceeded my expectations. Was clean, close to West Brompton tube and easy access by bus to Kensington South / V&A and Natural History Museum Area nice and close to a few pubs and supermarkets (Waitrose, Co op and Tesco) good shower, clean, friendly staff. Would stay again. Staff was very friendly and helpful. Hotel was clean and breakfast was good. Easy walk to two underground stations. The buffet breakfast was surprisingly good. Although the scrambled eggs seemed suspiciously fluffy, the sausages and bacon were great. European visitors might find it strange to have no cold meats and cheese - it's a very British breakfast. Although renovation work was being completed at the time of our visit, most of the time we hardly noticed. Every surface was clean. The television in the room was a good size, with clear reception. Likewise, we appreciated the free WiFi with a strong signal. Staff were helpful. When I asked about a Time Out magazine, one member of staff went out of his way to find one for me. I am not a coffee drinker therefore I cannot answer the bonus questions. Breakfast and selection of teas were wonderful. Good pillows and bedding. English breakfast was a plus, but the mushrooms were missing. Easy walk to West Kensington tube station. Staff extremely polite and helpful. Easy to get to central London. 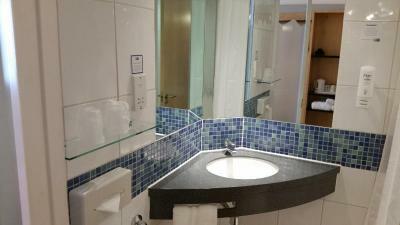 Holiday Inn Express Earls Court This rating is a reflection of how the property compares to the industry standard when it comes to price, facilities and services available. It's based on a self-evaluation by the property. Use this rating to help choose your stay! One of our top picks in London.With a 24-hour front desk and a modern bar, Holiday Inn Express Earls Court offers free breakfasts. West Kensington Underground Station is a 5-minute walk away. The bright bedrooms each have a TV with satellite channels and on-demand movies. 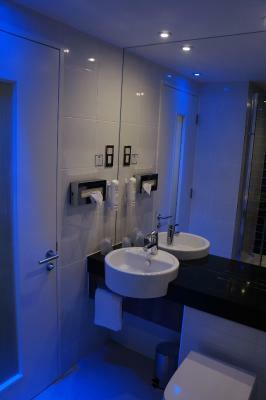 Rooms also feature air conditioning and WiFi access, and each has a private bathroom with a hairdryer. A hearty breakfast buffet is served daily at Holiday Inn Express, including hot and cold items. The Great Room bar features a large-screen TV for live sports, and offers light snacks and refreshments. There is also a meeting room and business facilities on site. 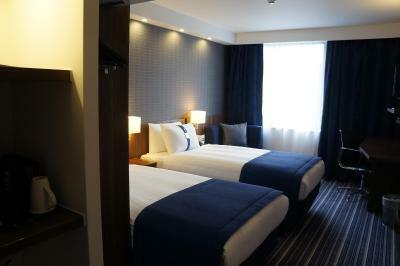 Holiday Inn Express Earls Court is just a 10-minute walk from the Earls Court and Olympia Exhibition Center. Stamford Bridge Stadium, home to Chelsea FC, is a 15-minute walk away. 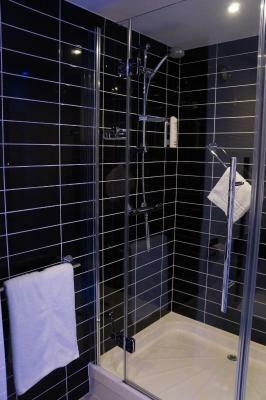 When would you like to stay at Holiday Inn Express Earls Court? Handicap accessible room with satellite TV, air conditioning and Wi-Fi access. Colorful room with satellite TV, air conditioning and Wi-Fi access. 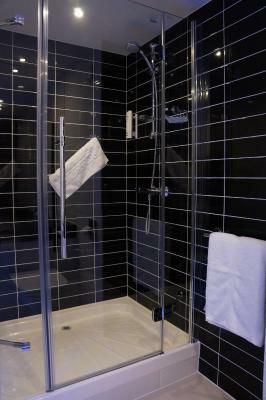 This room features air-conditioning, tea/coffee-making facilities, and a private bathroom. House Rules Holiday Inn Express Earls Court takes special requests – add in the next step! Holiday Inn Express Earls Court accepts these cards and reserves the right to temporarily hold an amount prior to arrival. 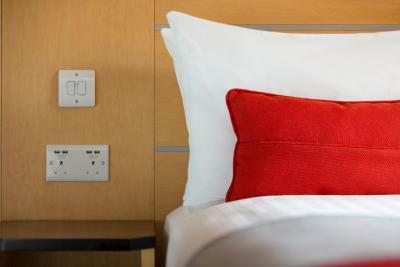 Please note that when booking the Standard Double or Twin Room bed type preference cannot be guaranteed and will be allocated upon arrival based on availability. If you check-out before your date of departure, the hotel will charge an additional cost. Please note that on-site parking is allocated on a first-come, first-served basis, and cannot be guaranteed. If the credit/debit card used for reservation will not be present upon arrival/check-in, please contact the hotel prior to arrival. Please note that guide dogs only are accepted at the property. For group bookings for more than 8 rooms, different terms and conditions apply and customers should contact the property to comply with the terms and conditions. Please note that the property cannot accommodate any guests under the age of 18. Television not working properly telephone had no dial tone so not usable Didnt like the air conditioning fan noise staying on all night even though we turned it off. 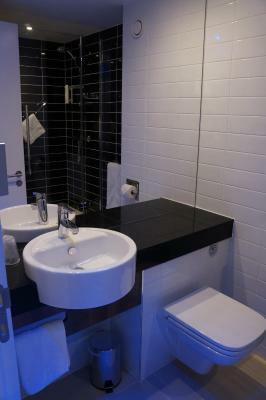 very good bathroom facilities also not noisy from adjoining rooms or corridor. Breakfast food not great. Dining room not cleaned frequently. Near bus stop and district line metro station. Shops and restaurants nearby. Hotel quality quite good. The staff were fantastic, especially Jan! She made us feel so welcome! The location was perfect to visit Stamford Bridge! Disappointed no safe in room. Also I hadn't realised no fridge/mini bar in the room we had. Breakfast was excellent, staff very helpful, rooms quiet and beds very comfortable. All spot on and lovely. We enjoyed the warm welcome and very helpful staff. The reception Claudia was amazing. She was always smiling and ready to help. The rooms were very clean and spacious. Will definitely book again!! Breakfast was simply amazing. The rooms are comfotrable and clean. What you need you'll find here.